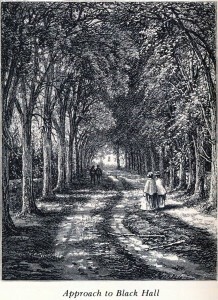 When Helen wrote to Robert in London after his winter passage on the Northumberland in 1847, she complained that she felt “wretched” in mind and body. Nearing the end of her third pregnancy, she conveyed her annoyance with his family members but also her resentment of his socializing and keeping “gay company” while she remained “shut in” at home. 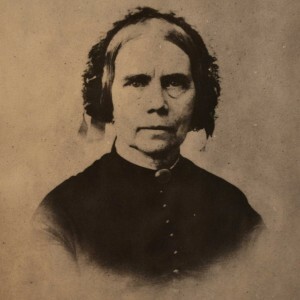 Preoccupied with her own discomfort, Helen reported the shocking deaths of two Irish servants in the home of his cousin Richard Griswold but sent scant news of their children. She dismissed advice from visiting friends that she should get dressed and go out and longed for her ordeal to end. 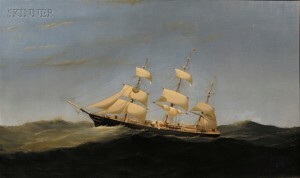 Robert had sailed the packet ship Toronto from New York to London for nine years until he took command of the Northumberland in 1844. 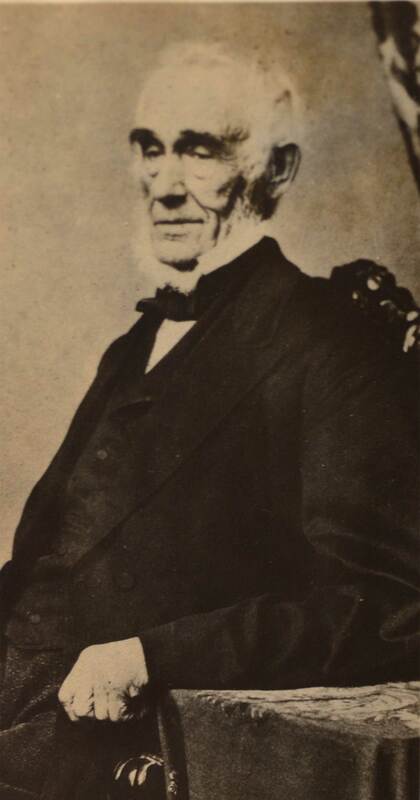 Thomas Coke Ruckle, Captain Robert Harper Griswold, 1840.
it is not probable you will hear of my confinement A woman’s confinement was the period during which she remained in bed before, during, and after childbirth. 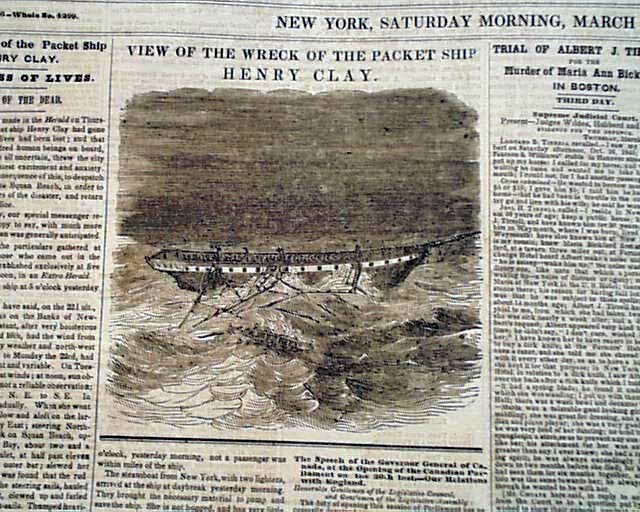 as it is doubtful you getting my letter by the Henry Clay, The Swallowtail Line’s packet ship Henry Clay had been salvaged and rebuilt after being wrecked in a gale on March 25, 1846, off the New Jersey coast. 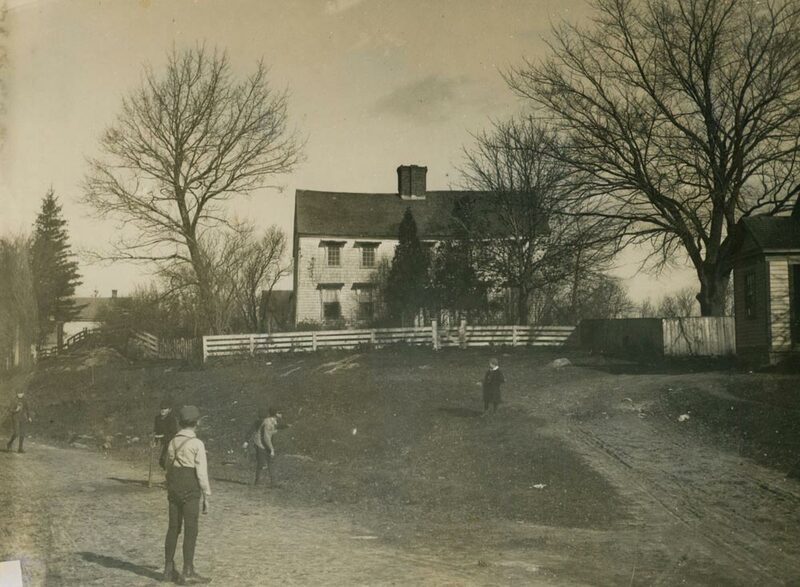 Robert’s cousin Charles C. Griswold (1787-1869) and his wife Elizabeth Griswold Griswold (1800-1888) had built a new home in the section of Lyme called Black Hall in 1842. Helen refers to Elizabeth Griswold Griswold (1800-1888). Helen refers to Robert’s mother Fanny Rogers Griswold (1767-1863). 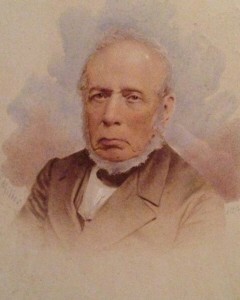 Robert’s brother Matthew Griswold (1792-1879) lived in Black Hall. all that I do not care about, but Matthew thinks it has all originated in me, and does not like it that I have set such a story afloat, now Robert I know (and told Matthew so,) that you had not the most distant idea of going to New York, but do not see why it need be considered such a dreadful, awful! 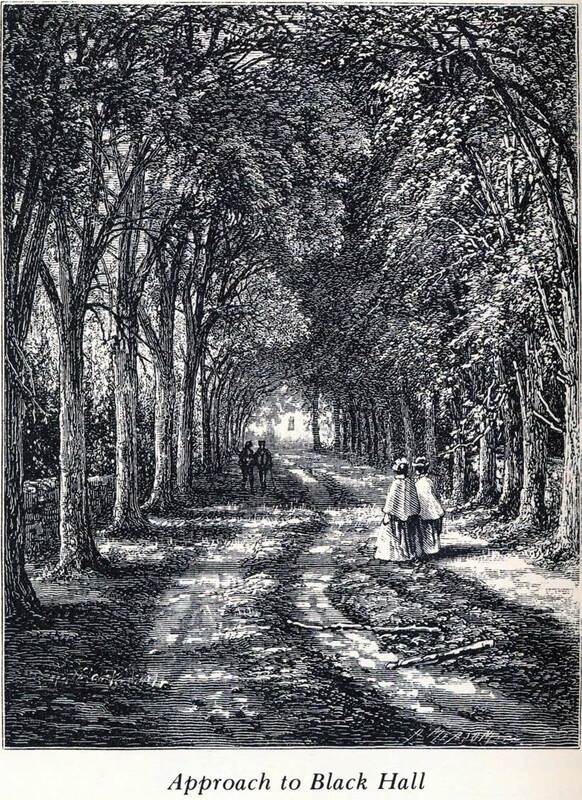 thing my speaking of it, which I have merely done for talk sake, but then it displeased Mr and Mrs Charles C Griswold and that, (in Black Hall Most of Robert’s family lived in the section of Lyme called Black Hall where the first Matthew Griswold had built a homestead in the 1660s. 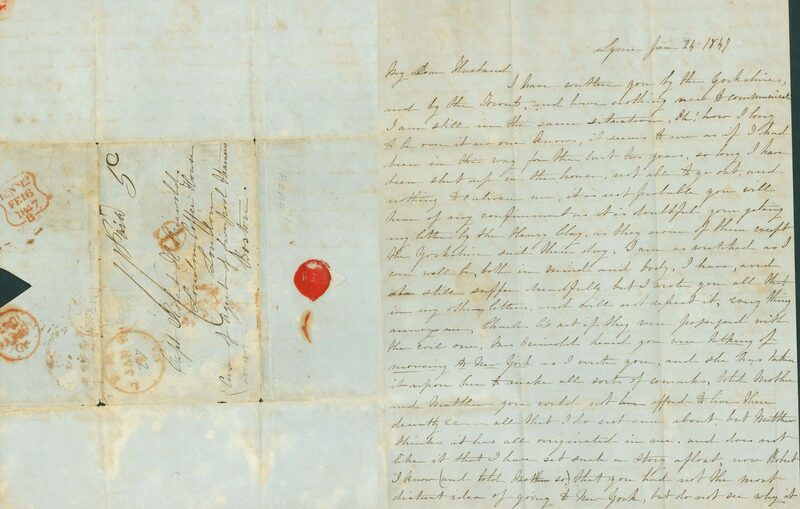 people’s estimation) is enough to make it a crime, Mr Griswold has also taken it upon him to add 2 dollars more for your per cent, has taken the liberty to write down your name for 14$, do you not think that free and easyObjecting to the way Charles C. Griswold (1787-1869) managed a family financial arrangement, Helen chided Robert for deferring to his prosperous cousin. ; or do you consider it an honour! He says you have got to pay it, (I would like to know if you submit to such things! – All are well at Black Hall, Phebe Helen’s sister-in-law Phoebe Ely Griswold (1804-1904) also approached the end of a pregnancy and gave birth on February 6 to a daughter Elizabeth Griswold (1847-1915). A dreadful circumstance occurred a few nights since, two of Richard Griswold's Like other prominent residents of Lyme, Robert’s cousin Richard S. Griswold (1809-1849), a partner in the family shipping firm N. L. & G. Griswold, employed Irish immigrants as household servants. 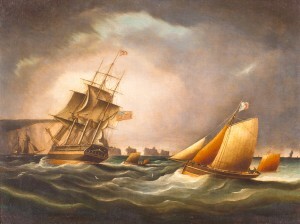 servants, (both Irish girls Many of the young women who provided household help in Lyme had crossed the Atlantic to escape famine in Ireland. They traveled steerage class in the crowded and unventilated holds of packet ships like those Robert commanded. Cutaway of packet ship ? 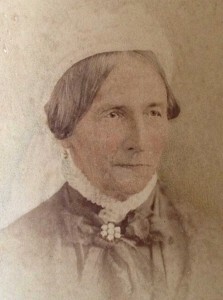 I am dreaming of you every night, and thinking of you constantly, but then I cannot expect you to think of your Helen as often, you have other things to take your attention, — Mrs Richard Lord Esther Ann Lord (1811–1866) was the wife of Richard L. Lord (1794–1860), owner of a 200-acre farm on the Connecticut River. 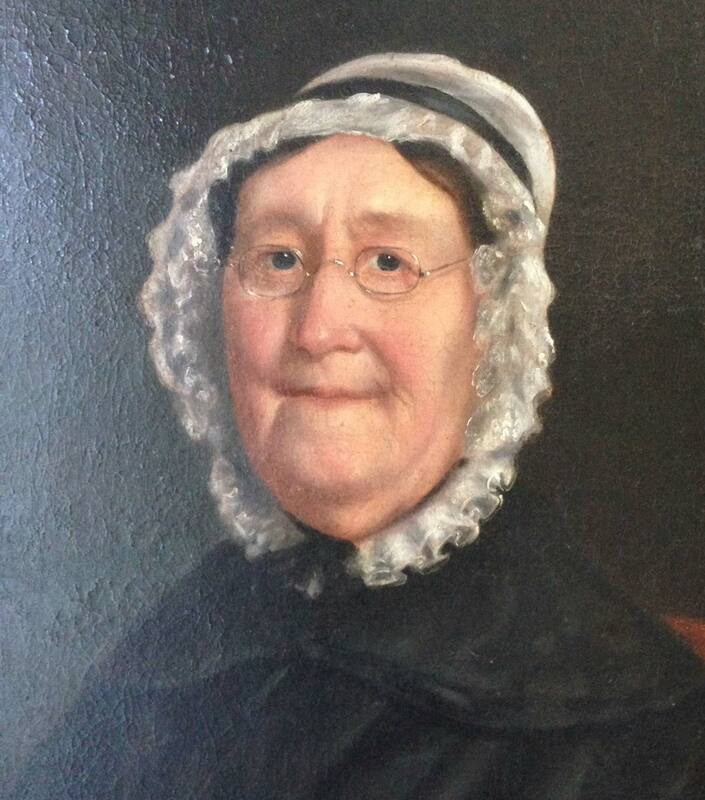 and Miss Harriet Harriet Lord (1795-1882), the unmarried older sister of Phoebe Griffin (Lord) Noyes (1797-1875), at whose school in Lyme Helen had taught music before her marriage, lived a mile away on the town’s main street. SAMUEL WALTERS, THE NORTHUMBERLAND, 1847, FLORENCE GRISWOLD MUSEUM, GIFT OF MR. AND MRS. WILLIAM E. S. GRISWOLD, JR.